Here comes dividends, here comes dividends, right down Lanny’s investing lane! Yes, I had to throw a Christmas cheer to the biggest dividend month of them all! It’s been a fast month, with family, work, year-end and a lot of late nights/early mornings. Grab that cup of coffee and let’s see if I was on the naughty or nice list, in terms of the dollar amount of dividends I received this December! I received a total of $2,657.39 of dividend income in December. Wow. A December record and a full-year paying off, from new investments to dividend increases. What’s wild is – this is the first time where it was officially hard to get to this spot. This has taken many years, saving and investing to get to these figures. One could say, the blood, sweat and tears. Damn, I need a glass of wine for this. Further, the 401(k), Health Savings Account (HSA) and all dividends are automatically invested/reinvested and helps take the emotion out of timing & making a decision. Also, to find out why I max out my 401(k) and HSA – please refer to the 3rd part of my tax series, (though I have the breaks on the 401k, as I recently posted due to the 6 month waiting period, only a little over two weeks of waiting to go!) as that describes the magnitude of benefits to increase the amount you can invest due to reduction in taxes. Here is the breakdown of dividend income for the month of December! What stands out is the number of entities that send dividends my way. From an individual taxable account, Lockheed Martin (LMT) and Target (TGT) take the cake here, with Shell (RDS) sneaking up from behind. However, what this list also is a testament to is that there are new names this December, such as Dominion (D) and even Vanguard Dividend Yield (VYM) ETF. Speaking of Vanguard – they came in and walloped an, “almost”, $800 dividend to the portfolio and T. Rowe Price’s fund I’ve had for as long as I’ve been investing, distributed over $700 my way. Thank you investment firms! Similarly, I have split out between the individual stock amounts and the retirement accounts, as the ” – R” indicates a retirement account dividend (or the furthest column to the right). I separate these two, as I like to know what portion of my dividend income is coming from those retirement accounts that I cannot touch until 59.5 (barring any other usage rule I could use). Here, it shows that I received a total of $1,759.32 (up from $1,244.09 last year) or 66.2% of my income from retirement accounts and the other 33.8% was from my individual taxable account portfolio. This ratio, surprisingly, increased from last year and it has to do with the larger VINIX and new VYM dividend. Lastly, this shows from retirement accounts that I’m all ready for my set it and forget it mentality to keep that income going. To see my portfolio – one can go to our portfolio summary page. Now, I will compare the previous year’s linked month to this month. Last year was my first time crossing the $2,000 threshold. Who would have thought I would add over 30% more to that in the following year? In regards to the actual growth rate, my dividend income was up 32.26%! My goal is to be well over $3,000 in dividend income next year (that sounds crazy just typing that). One difference here is Delta (DAL) paid in November, instead of paying in December. This was offset by having Dominion (D) in the fold this year. Quite honestly, from a taxable standpoint, the differences were the following actions (outside of Dominion): an additional investment in International Business Machines (IBM) and Kraft (KHC). The remaining increase in the taxable account was due to the other two legs of the dividend stool, which are reinvestment and increases. The retirement accounts blew this out of the water versus last year. Dividend increases this month did not disappoint, yet again! 5 companies lined up December with dividend increases. No real surprises, otuside of the more than expected dividend increase from Norwood Financial (NWFL) and that Dominion came in higher, as my expectations were lowered with the Scana acquisition. Five companies increasing their dividend was a great way to finish the year. Further, in order to add $47.48 to my dividend income, I would have to invest $1,356.57 at 3.50%! As I discussed in my normal monthly expenditures article, the dividend income would cover almost 3x my average $984 monthly expense, which includes the mortgage, property taxes, insurance and utilities. If only this was all taxable and happening each month, I would be financially free, no doubt! What a month, everyone, what a month. In similar fashion – all of the investing from last year and moves this year, shows that my aim to save 60% of my income, and making every dollar count, has allowed promising results already this year. I know this is jumping the gun, but great job to everyone. Further, thank you for sticking with me, Bert and the Dividend Diplomats in general this year, as we could not be doing this without you. 2019 is going to be an incredible year, one filled with life events, travel and, of course, dividend investing baby! Cheers to 2018 but bring on 2019, LET’S GET IT!!!! Thank you again, good luck and happy investing! This entry was posted in Monthly Summary and tagged Dividend Income, Financial freedom. Bookmark the permalink. Great job! Reaching a +30 % year over year growth would be a really nice achievement even if you were just starting your investing journey, but you reaching those numbers after a 2 000 $ month, which is just amazing. Nice amount of dividend increases too. I also have O and T in my portfolio, but unfortunately those were the two smallest raises. Thank you for coming by! A 30% increase was HUGE for me, especially for 2018, as you stated. O is nice, though, as they give 4 increases throughout the year, which usually ends up being between 4-5% in total, when added together. Love a high yielding, monthly player, that increases their dividend 4x per year… wouldn’t more of those be nice? HAH! I’m curious, did the total dividend return of your individual stock holdings beat the return of your dividend stock funds? In other words did your active picks out perform your passive ETF funds on yield/price? What a month Lanny! Congrats on a new record and that’s a great way to end the year! Best of luck in 2019 and keep killing it! Thank you. I laughed at AT&T, because they did not disappoint with their expected 2% dividend increase. Hey, I’ll take it. Excited for 2019 and know that it’ll be a lot of grit, grind, perseverance. Guess what – we’re up to the challenge, right? 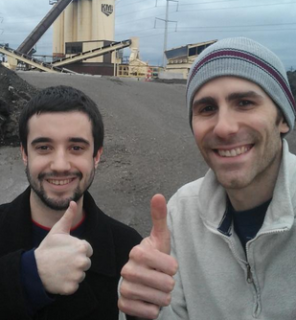 Keep up the great work and keep stacking those dollars! Thank you. What a year and what a finish. Thankful. It’s weird, though, as honestly – so much work left to be done and not even close to being there. We must grind on Divvy, let’s keep it going. What do you think of ENB ? I have 11 years until retirement and just starting our dividend portfolio (my and my wife’s 2 Roths) with $30k now and will add $14k per year. I believe that I need to start with stocks yielding at least 3.5% and 10% annual div growth and portfolio average starting yield of 4.5%. However I have looked at analysis showing that stocks yielding 2.5 – 4.5% have better stock price growth than higher yielding stocks. A lot of Div Aristocrats look overvalued right now. Having a hard time finding them with under 18 P/E and above 3.5% yield. Thanks for the comment. ENB has been a very popular stock as of late. Tom – check out: ABBV, T, ADM, LEG & ED for starters. Let me know what you think when you look at those names! T – 2% historic annual div growth too slow for me, and they have $190B debt with lots of competitors. Telecom a tough call right now with 5G potential. ADM – good buy if price goes down 15- 20%. P/E is 38 and starting yield 3.2%, 9% annual div growth. Solid company. ABBV – Not sure if they’re best in long term pharma. Their best drug Humira is coming off patent soon and they depend on rebates that Trump and Dems want to get rid of. I like PFE much better but price on PFE needs to come down a little.Maybe buy on next dip. LEG – Great company and price is decent but only 4.5% historical annual div growth too slow for me. I need 8%+ because of my retirement horizon. Consol Edison – again good company but super slow 2.5% historic annual div growth. Lots of consumer staples JNJ, KraftHeinz, Coke, pepsi, etc. I think are all priced way too high right now, but maybe I should start buy buying a little of them and hope for recession to buy a lot more? I should have bought them before Trump when prices lower!! I believe oil and natural gas prices are going up and staying up by end of this year or next year. So I lean on placing a little more of these stocks in my Roth portfolio than other people. Gracias MDD! The dividend increases make me so happy, especially because they were higher/more than anticipated. Bring on 2019! That is a huge month and high yr over yr growth on those kinda numbers. Thanks for the comment, as always. It was fun, the best part are the dividend increases and knowing the amount of reinvestment that it represents. So pumped for hopefully more months of these going forward. Wow. Absolutely killing it. That 30% or $600 year on year is something to be admired. That’s bloody awesome mate. Keep it up. That is such a huge month too. Massive amount to be reinvested and start earning you more money too. Love it. Thank you very much. The reinvestment is real, essentially a few stock purchases all from dividends. Grateful and thankful. Excited for 2019 and to make moves. Outstanding result! My dividend income went up ‘only’ 16,67% but that is still amazing. I’m sure you will crush that 3,000 mark this year. “only” is a massive increase! I am looking forward to the.. $3K… goodness! Just wild thinking about it. Well done. A fine close out to 2018 with that huge year over year gain. We work 12 months to see these ever growing results. Let’s continue to ignore all the noise and keep investing in high and low markets. Either way there’s always something of value to pick up. It’s only January but don’t blink… before you know it we’ll be talking 2020. Thank you for your comment. We always do find value, right? How funny is that? When the stock market is roaring or falling, we find it… LET’S GO! Just an awesome month, Lanny. Over $2,650! Even more impressive was that YoY growth given the big numbers. Your hard work continues to pay off. I would think you can see financial freedom on the horizon. It looks great, doesn’t it? Here’s to more of the same in 2019! Thank you, thank you. What year do you think I will? I have to be getting close, right?! Agh, doesn’t feel like it!! Santa sure delivered this month and those raises wow. Getting 30 percent YOY is awesome also. Keep it up. Thank you, very humbled and pleased with the results. Time for 2019… the hustle continues. wow what month for you! Alone in December you made more dividend income than I most probably I will make in 2019. Congrats on that number they are really impressive. Thank you for the comment and don’t worry – it’s all about building, my snowball has been built over the last 9 years… you’ll be here soon enough. Wow, what a month to remember! That’s not far off what an average American earns at a day job. The fact that you earned this income passively, not to mention the favorable taxation of dividends is absolutely incredible! Congrats on another solid month and best of luck in 2019. Let’s crush it! Thank you, as always, and a month I’ll never forget. Obviously, a lot from the retirement accounts takes a “smidge” of the wind out of it, but I know the back door Roth IRA conversion is always there. Thank you Kody, let’s make 2019 awesome! 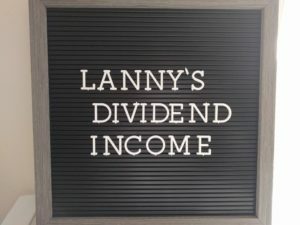 Great job on your December and yoy dividend income, Lanny! Over $2,650 is incredible. This is a very motivating post as you alluded to the effort it took to get here. Also, I love that term, revenue engine. That’s such an awesome way to view dividend investing. I like to think that I’m creating an income machine that will provide constant cash flow to invest more. It’s really inspiring to see it working live in action, Lanny. Can’t wait to see your progress in 2019. Thank you for stopping by! I wish the $2,650 was all in the taxable account, you know?! Then I’d really feel that much closer to FI. It really is a revenue engine. Pouring in the capital (gas/oil/fuel) and then watching the engine churn out that income! It’s awesome and am so lucky. What’s great is… the income off the engine can grow by itself and grows faster/stronger when you add even more to it… it’s a beautiful thing. Lanny awesome work and awesome growth. I myself was surprised at the level of growth I saw this year and yours is awesome as well – speaks to the power of dividend growth and continued investing! I couldn’t have said it better – sticking to what we’ve been doing, pays off tremendously. 2019 should be no different, just potentially different investments doing different things! All for dividends going up from increases and further capital moving into successful businesses. So lucky. Wow, congrats on the very strong finish to the year Lanny. That’s exactly what I like to see. Yea, it’s a good monthly number, but as you mention it also took years to get to that point. It’s just a reminder of what is possible for those of us with smaller amounts. I can’t wait to see what 2019 has in store for you and your portfolio. 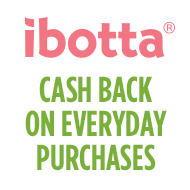 Each purchase, dividend and increase counts. It’s just a machine that clocks in and never clocks out. So many years, so many dollars saved/invested, what a fricken journey. Amazing, just amazing. These are retirement numbers already Lanny! Excellent work Lanny! You’re definitely are on the right track, I wish I had your knowledge and fortitude back when I was in my 20s. Keep it up! I feel very lucky and fortunate, and it hasn’t been easy, but also hasn’t been insanely difficult. I am happy I was able to read many books and blogs in my late teens and early 20’s to transform my current and future reality. So damn excited and sometimes, you have to say, “it’s working”.